Making a donation in memory of a loved one is a positive way of celebrating their life, while at the same time helping us continue our vital work of rescuing and rehabilitating abandoned and neglected horses, ponies, donkeys and mules. For a lasting way to remember a loved one, you can make a donation for a plaque to be placed somewhere on the Lincolnshire site. 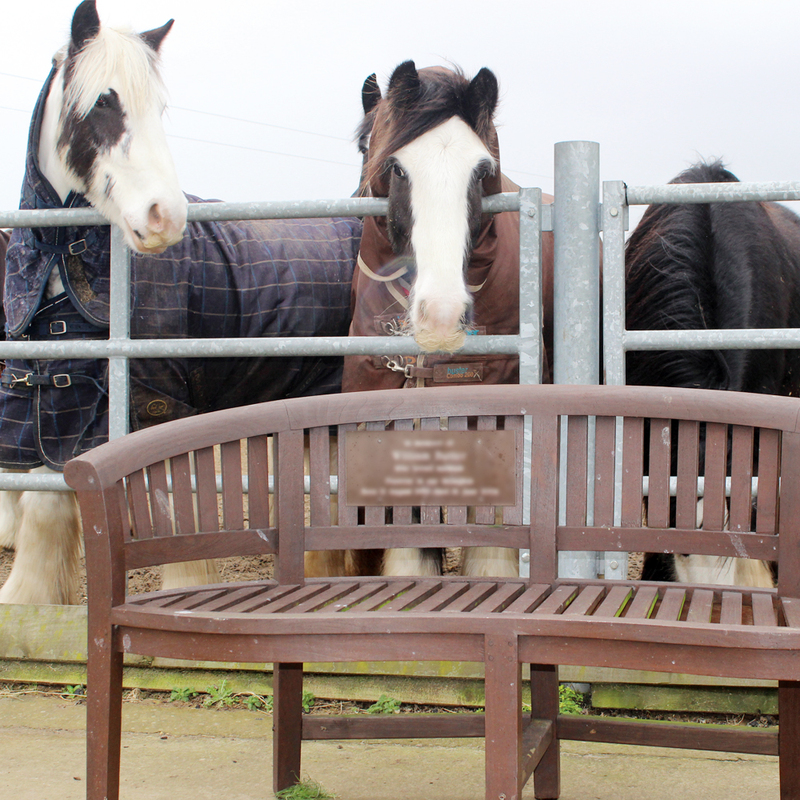 There are many places for a plaque to be placed with a tree or on a bench, which could then be situated in your favourite spot at the charity. 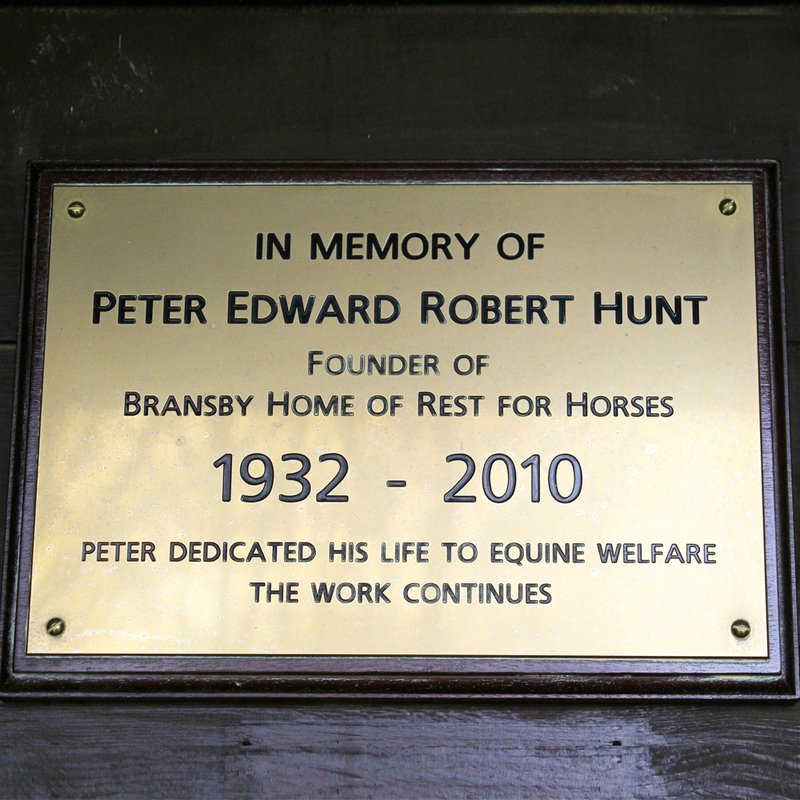 Plaques are engraved with your own choice of wording and once erected, we will forward a picture to you, in situ, and you are free to visit any time within our opening hours of 10am to 4pm daily. 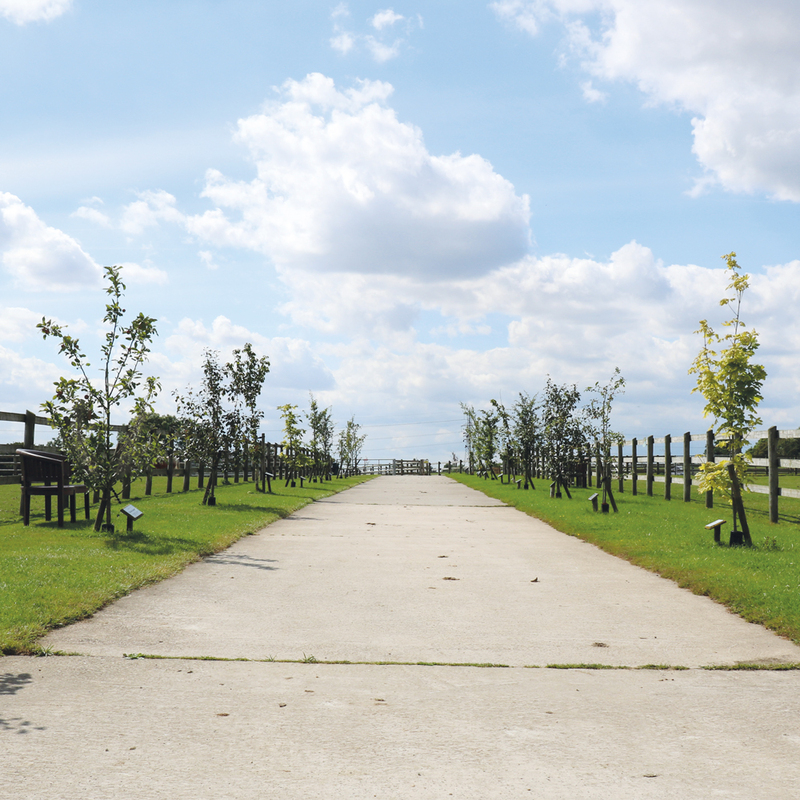 We have many acres of land to house all the animals and many footpaths that weave their way around the site, so there is plenty of opportunity to spend quiet time in the peaceful surroundings.